Regiment/Catrawd: 63rd Battalion, Machine Gun Corps (Infantry). Service Rank and Number / Rheng gwasanaeth a rhif: Private No. 120098. Ref No Grave or Memorial / Rhif cyfeirnod bedd: Panel 10. Killed in Action on Monday 30 September 1918 aged 20 years. Percy Carter was born in Handsworth, Staffordshire during 1898. The 1911 Census tells us that the family lived at 6 Market Street, Rhyl, Flintshire. The head of the family was Thomas Carter aged 53, who was employed as a Gas Fitter. His wife Jessie Carter and their two children – Percy Carter aged 13 and Ernest Lawrence Carter aged 8 years. Percy initially enlisted during 1915, aged 18 as a Private No. 16564 with the Royal Welsh Fusiliers and later transferred to the Machine Gun Corps. On Wednesday 1 December 1915, he disembarked in Boulogne and served in France until his death in 1918. Vis-En Artois and Haucourt are villages on the straight main road from Arras to Cambrai, about 10 kilometres south-east of Arras. 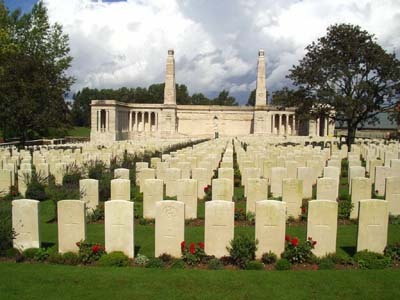 The Memorial is the backdrop to the Vis-En-Artois British Military Cemetery, which is west of Haucourt, on the north side of the main road. This Memorial bears the names of over 9,000 men who fell in the period from 8 August 1918 to the date of the Armistice in the advance to victory in Picardy and Artois, between the Somme and Loos, who have no known grave. 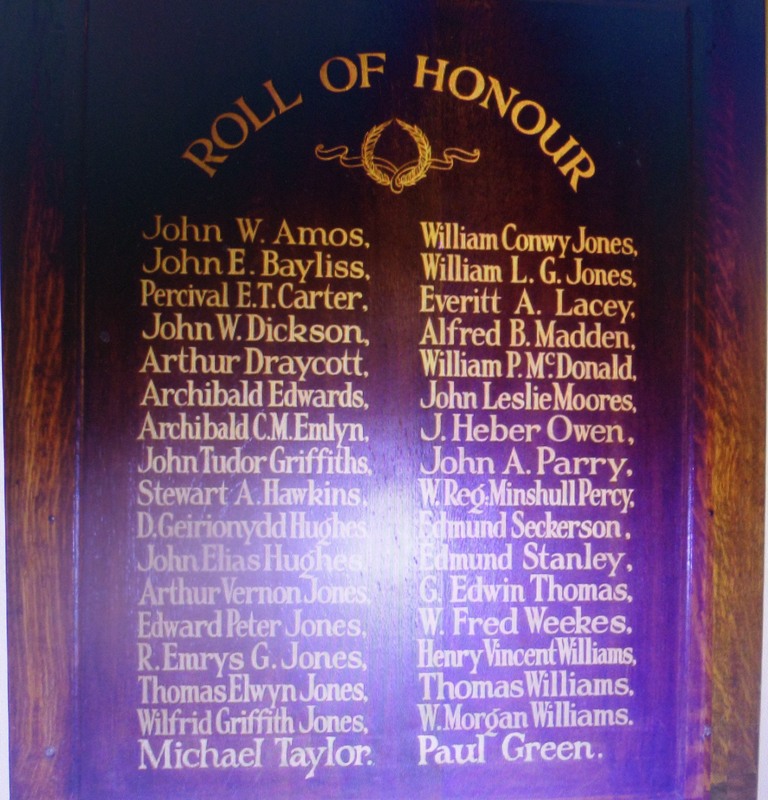 Private Percival Edward Vernon Carter is also remembered on a Roll of Honour Plaque which was on display at The County School, Grange Road, Rhyl. On 3 February 1919, a payment of £26.17s3d was made by the War Office to Ernest Lawrence Carter, this being monies owed to his brother Percy. On 6 December 1919, a further payment which is recorded as a War Gratuity of £19.0s.0d was also made to him. There is a Flintshire Roll of Honour Card for Percy Carter at the County Archives Office, Hawarden, dated 13 September 1919 and signed J.T.Lewster.